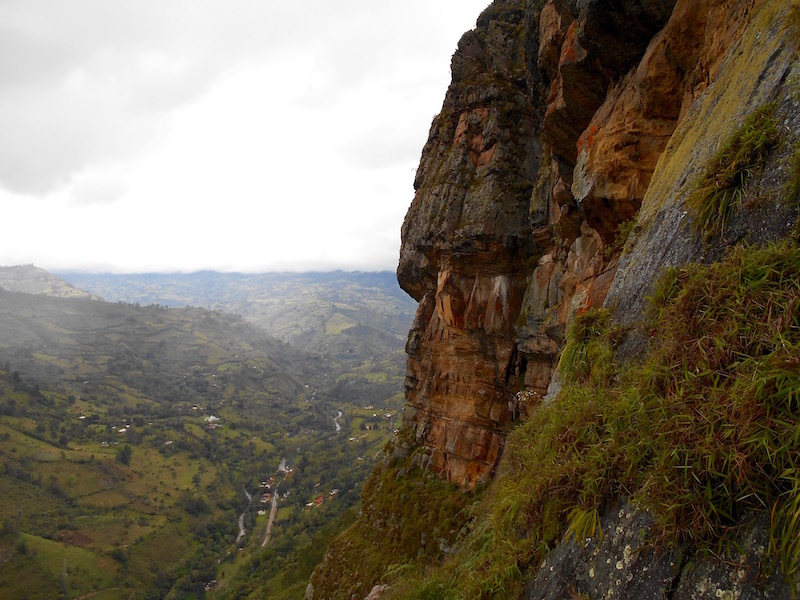 So I just wrapped up a week of climbing at one of my favorite spots in Colombia: Suesca. Though this was my third trip to Suesca, I always seem to forget (only to be quickly reminded) of how sandbagged the climbs are there. But I’m not here to talk about Suesca, I’m here to talk about nearby Machetá. Located about 45 minutes from Suesca, Machetá is famous for its super long routes and ultra-steep caves. This time, I spent one day in Machetá, but I wished I had spent more. The routes here are excellent, so good in fact, I just may have to update my “The Top 3 Places to Climb in Colombia” article to feature it. The climbing here can be broken up into two main areas: “Old Machetá” or “New Machetá (also referred to as El Salón de la Justicia)”. The areas are only about 1 KL apart from each other, but the climbing styles and approaches are totally different, so listen up. You could call the climbing here “gym style”. The routes are steep, with big holds most of the way up. There are a nice range of grades starting at 5.10ish all the way to 5.14. Most of the routes lie in the 5.11b-5.13a range. If you’re more of a “beginner” climber, Suesca or La Mojarra may be better choices for you. There are lots of bolts and all of the falls are clean. It makes for a fun day out. Normally the crag is absolutely empty. Sunday is the only other day that you’re likely to find other climbers. A video showing off some of the climbing can be found here (climbing starts at 1:25). There are a few hundred routes at Old Machetá alone, broken up into about 5 sectors. There is no topo available online, however there is a very well put together guide book available for sale at the Monodeo stores in Suesca and Bogota (each costs around 45mil COP). 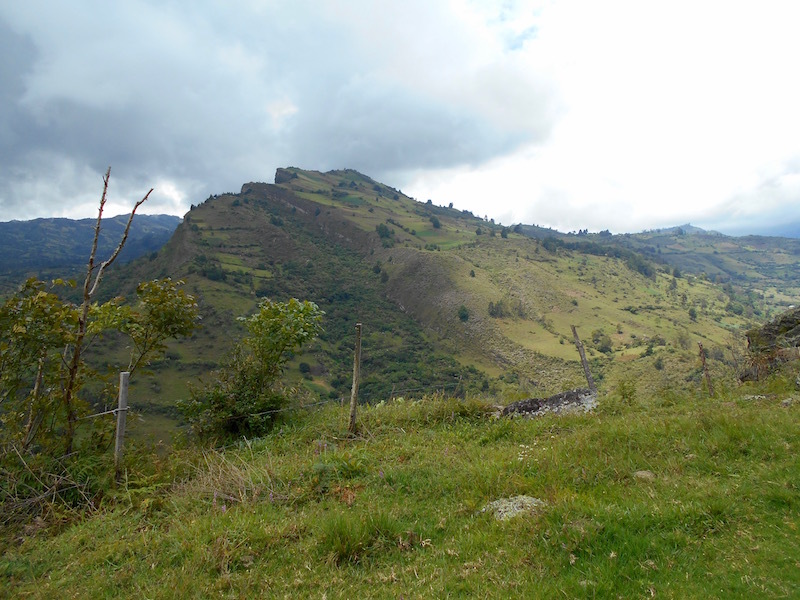 The climbing style at old Machetá is in steep contrast with that of Old Machetá. The routes here are generally very long, vertical and technical. This is sort of my ‘ideal’ style, so I absolutely loved this place. 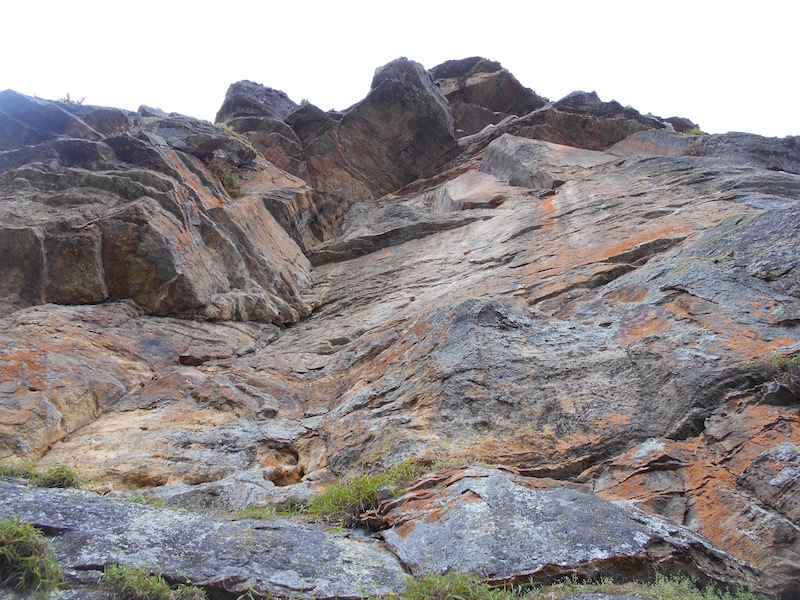 Similar to Old Machetá, the climbs here are difficult. You should be comfortably climbing in the mid 5.11 range before coming here. The are about 40-50 routes in New Machetá. In September 2018, a new topo was released, which can be purchased at Monodedo. I highly suggest picking in up, as many of the routes here require 20+ quickdraws, a few pieces of trad gear or a 80m rope to safely climb. But at a minimum you’ll need a 70m rope and about 15 quickdaws to climb here. Be very careful when lowering down, make sure you have knots in the end of the rope, as you’ll most likely be doing double lowers if you have a 70m. Most of the belays here are on narrow edges close the the cliff. So be super careful when you’re going up the first time and don’t know the area well. Or just get the guide. It is easy to arrive here by bus. These are the directions if you’re coming from Bogota. First take the Transmilenio to the Terminal del Norte (not to be confused with Portal del Norte). Exit the Transmilenio station, and take the walkway over the highway to reach to terminal. 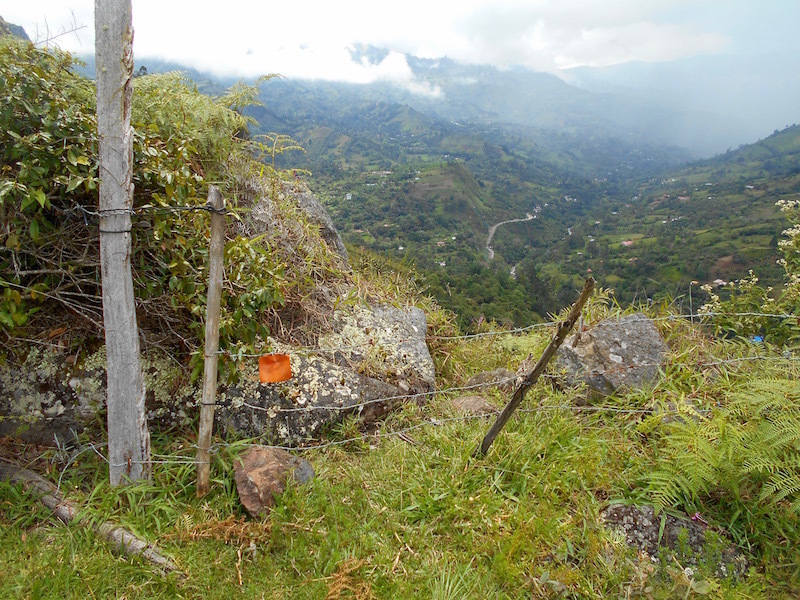 From here you will be able to take one of the regularly scheduled busses (leaving every 30 minutes or so) towards Machetá-Guateque. You have two companies to choose from: Valle de Tenza or Macarena. It is about 2 hrs in bus from the Terminal to the climbing. You will first arrive at the town of Machetá itself. Don’t get off here, but stay on the bus for another 15 minutes (about 5kL) until you arrive at the crags. The approaches going to New vs Old Machetá are different. I’ve broken down the steps for each below. 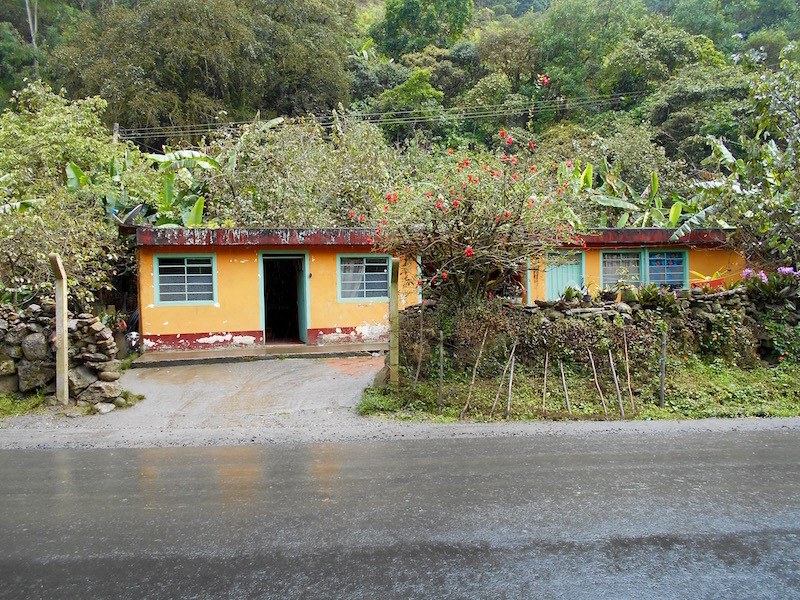 If you’re going to the Old Machetá, you want to get off the bus when you see a sign which reads “Finca el Paradiso”. From here, walk up the driveway until you arrive at the Rocas del Paradiso hotel. They generally charge around 10,000COP a day to park, or a couple thousand a person to enter. From the back of the hotel you can easily find the trail which leads you up to the climbing. It is a steep 20-30 minute hike. If you’re going to the New Machetá, stay on the bus for a few more minutes until you see this house on your left. If you’re driving, park here, or across the street (she didn’t charge us, but normally I heard that it’s around 10,000COP for the day). Walk about two minutes down the road away from the town of Machetá until you see this trail. Read closely. After about 5 minutes, you will pass a house on your right which has a fence made out of stone, a locked gate and a pack of very mean dogs. Continue past this house for a few more minutes until you reach a second house with a pack of slightly less mean dogs and no fence. The second house is where the owner of the land lives, and you will have to pay her to enter. She charged us 4,000COP a person. I heard Colombians usually get charged around 2,000COP. Politely ask for directions and continue up the trail for another steep 30 minutes of walking. Once you pass the houses, there is only one tail going up towards the rocks. Sneaky beta: I suggest picking up a stick or something to defend yourself with in case the dogs start to get overly aggressive. Once you pass the second house, you’re unlikely to encounter any more. This place really impressed me, especially New Machetá. The rock was of great quality, there were lots of variety to choose from, and the scenery was beautiful. There are surprisingly few climbers who come here, I think that the relatively steep approach and tough grades keep people way, as in my opinion the climbing here gives nearby Suesca a run for its money. New Machetá also had a nice adventure factor added on to it, with the attack dogs, brutal approach, huge routes, and exposed belay spots, you probably find yourself glad to make it back to the road in one piece. But hey, this is Colombia, that’s why we came down here right? This would actually be an awesome place to post of for a week or two, there is certainly a lot to climb. I’ve even been told that there are a few fun rest day activities nearby such as the nearby Termales Los Volcanes and Termales Nápoles. If you have the time, I would suggest getting away from Suesca/Bogota for a day or two to try it out, I think you’ll end up wishing you spent more time here, like I did. For further reading see: “Suesca – The Best Rock Climbing Near Bogota” and “Guatapé Climbing Guide – The Best Place To Rock Climb Near Medellin, Colombia“. Hi, I'm Jacob! My mission is to help other people climb at the best places in the world by provided info not found anywhere else! 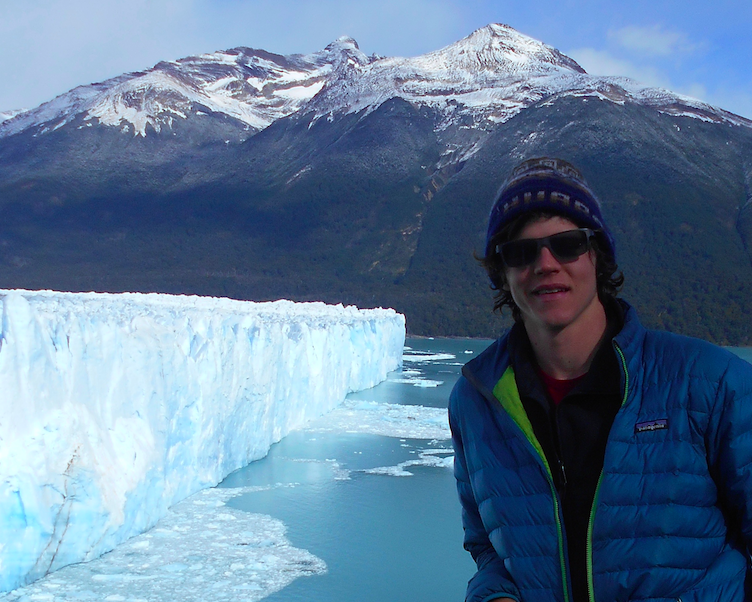 Enter your email to see my "Top 5 Climbing Towns in South America" and plan your next adventure. Want to share your tips and advice? Got questions? Comment here or share on your social to get the word out! If you found this information useful, please share it with your friends. This site is ad-free and completely community funded, and I want to keep it that way. Your support goes a long way! Enter your email and automatically receive new articles sent directly to you. As a free gift for signing up, you will receive my guide to the “Top 5 Climbing Towns in South America” to help start your next adventure! Hey Jacob! Is there a place to stay around Macheta? 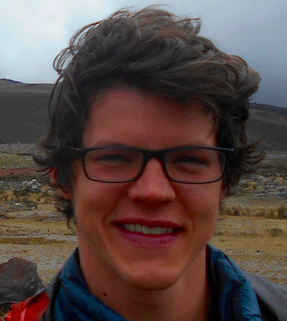 Just moved to Bogota and plan to do regular weekend trips to all the climbing spots around. So the town of Macheta itself defiantly has some hotels, but I’ve never stayed at them so you’ll have to explore a bit for yourself.